On Saturdays take part in exciting and unique performances suitable for all the family. 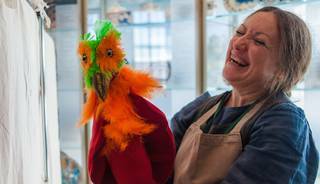 Come and hear about an eccentric theatre collector in our Theatre and Performance gallery in March and meet some playful animals at Polito's Royal Menagerie in our ceramics gallery on level 6. Download the Pop-up Performance winter programme for further details.